In Security Debrief’s fourth annual April Fools coverage, we’ve collected some stories the rest of the media somehow missed. 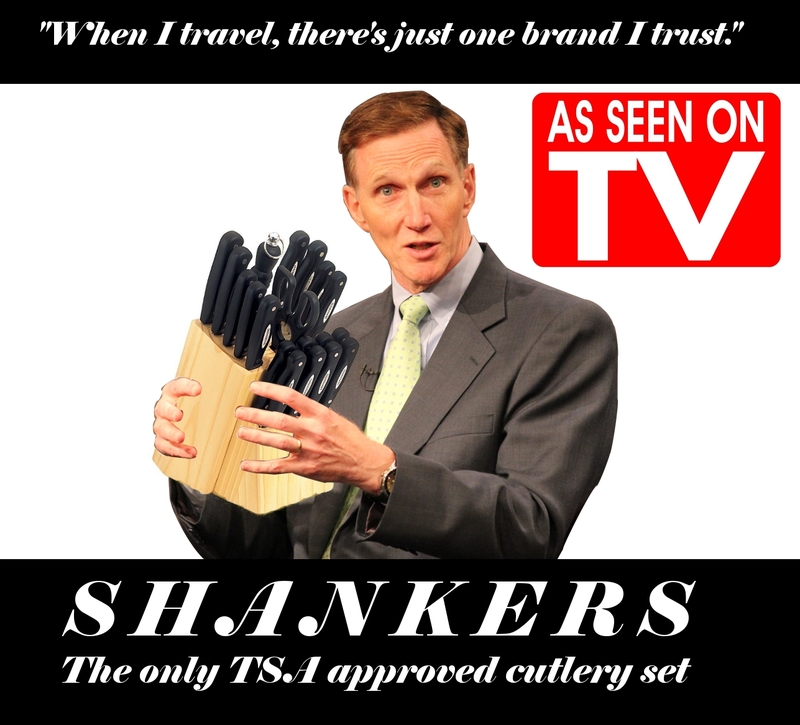 Sources tell Security Debrief that Pistole recently obtained the name and franchise rights of the long-bankrupt shopping mall and kiosk retailer Chesapeake Knife & Tool. These sources believe Pistole will be looking to scratch a long-subdued entrepreneurial itch that was first realized as a child when he delivered newspapers, cut neighbors lawns and sold lemonade to passersby in his old neighborhood. Security Debrief has learned that prior to changing TSA’s rules allowing for small knives to be carried on aircraft, Pistole had signed an unprecedented agreement with movie director Tim Burton (of Edward Scissorhands fame) to produce a new series of educational videos for employees and passengers in the screening areas. Sources explain the videos would feature Hugh Jackman (who famously play Marvel Comics’ Wolverine), with narration by Paul Hogan of the 1980s Crocodile Dundee series, explaining the finer points of knife etiquette. TSO Igotta Handsonyou, who has worked as the morning shift supervisor at Reagan National Airport for the past ten years, expressed her personal disappointment that she had never had a chance to pat down her boss. Under pressure from Congress to explain news reports about massive ammunition and weapons purchases, the Department of Homeland Security denied that it was purchasing 1.6 billion rounds of hollow-point bullets for “training” purposes. DHS also denied attempts to purchase Gaffii Sticks, Phased Energy Rectification guns (commonly called Phasers) and a secret arsenal of Chewbacca-brand Bowcasters. The written denial, provided to Security Debrief by a DHS official who was not authorized to talk with the media but is frustrated by Secretary Napolitano’s “Don’t Comment Until They Catch Us Red-Handed” public disclosure policy, was prepared for U.S. 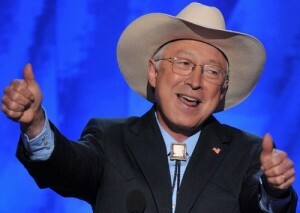 Senator Tom “Dr. No” Coburn (R-OK) last year. The explanation provides details of ammunition purchases in FY10, FY11 and FY12 and forecasts purchases and uses for FY13. Saying that further details were “law enforcement sensitive,” DHS refused to talk about how the ammunition would be used. The DHS answer was not sufficient for right-wing and Libertarian-leaning Members of Congress. For example, Rep. Tim Huelskamp (NRA–Kansas) highlighted the issue as a speaker at the recent Conservative Political Action Conference (CPAC.) As reported by US News’ Whispers column, Huelskamp taunted DHS for failing to answer questions about their ammunition purchases, suggesting that the outlandish acquisition was part of the Obama administration’s efforts to impose gun control legislation on the gun-loving Americans. Huelskamp wrote in a letter to DHS Secretary Janet Napolitano that it had “become clear” that DHS was purchasing vast quantities of ammunition, enough for 24 Iraq wars. The congressman also said the timing of the purchase was suspect. “The extraordinary level of ammunition purchases made by Homeland Security seems to have, in states such as my own, created an extreme shortage of ammunition to the point where many gun owners are unable to purchase any,” he wrote. Outgoing Department of Interior Cabinet Secretary Ken Salazar gives PSO employees the all-clear to emerge from NAC. Explaining that he has heard from business leaders from around the country, wondering if the PSO still existed (as they had not been seen in years), he acted quickly to protect the only seven remaining PSO employees. “We gave the bald eagle, the buffalo, the spotted howl and Joe Biden’s hair plugs a second chance at survival. Maybe these people and their mission can come back too,” Salazar said. Salazar’s binding order requires that DHS provide the remaining members of the endangered office with phones that actually dial outside of the Department and require that the PSO employees get outside into the sunlight beyond the red-brick walls to actually interact with members of the private sector. Expressing relief that someone cared about the private sector, and to ensure the health and safety of the remaining PSO employees, Coppertone, Inc. offered a lifetime supply of suntan lotion (SPF 75) to DHS HQ to protect the endangered people from sunburn on their now near-translucent skin. Not to be outdone, Home Depot and Lowes Stores, Inc. partnered to construct a public sanctuary for the PSO that would have tables, chairs and patio umbrellas for people to sit down and talk with one another. An unamused Douglas Smith, Assistant Secretary of the Private Sector, complained that he was not in the loop on any of the extended offers. 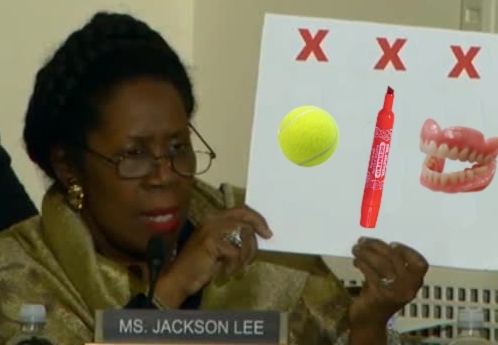 Congresswoman Sheila Jackson Lee questions TSA's Pistole on "dangerous" items. Prior to the recent announcement that TSA Administrator John Pistole will resign, Congresswoman Sheila Jackson Lee called Pistole before the House Homeland Security Committee for another round of questioning over the threats flight attendants face from the flying public. With a scowl, Lee held up a piece of cardboard with several items represented. “I assume so,” said Pistole. “If you pass such legislation on a bipartisan basis, it is approved by the Senate and signed by the president, I would of course enforce such a law,” said Pistole. 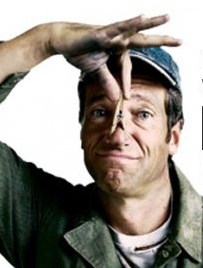 When the Discovery Channel canceled its formerly popular show, Dirty Jobs, host Mike Rowe was left wondering what he would do, other than an occasional Ford commercial. Enter the Department of Homeland Security, which recently announced it would hire Rowe as morale booster for agency employees at the bottom of the Office of Personnel Management’s Federal Employee Viewpoint Survey. Rowe, who is known for tackling difficult jobs that usually involve a substance that is smelly, semi-solid and wedged into tiny crevices in large structures, was delighted to undertake his new assignment. Rowe, who studied classical Greek in college, proposed changing the name of the Science and Technology Directorate, the component of DHS that has consistently ranked at the “bottom of the bottom” of the OPM survey, to the Consortium for Resilience through Anagnorisis and Peripeteia (CRAP). Claiming that DHS S&T needs a “reversal of fortunes” arising out of a misunderstanding of its mission, purpose and people, Rowe called for more “skilled workers” addressing the critical infrastructure needs of America. He said America needs fewer “academic theorists” who run around telling people about the lessons portrayed in the Bruegel painting, Landscape with the Fall of Icarus. Reflecting on the Greek story of the mythical man who flew too close to the sun, Rowe said one of his first tasks would be to debunk the Icarus story that failure came from the use of bad technology. Just as DHS S&T’s failures have not come from a lack of technology, but from a system that is afraid of risk, Rowe said that employee morale would improve dramatically once S&T employees learn that sewer gas is their friend – a reference to a building evacuation last year when a building drain plugged up and sent noxious fumes into the HVAC system at their Vermont Avenue location. “What Greek mythology teaches us today is that the poor employee attitudes and a sense of failure comes from supervisors who are micro-managers; who show a lack of respect for individual initiative; and who punish people who don’t act and think like them,” Rowe said. He added that S&T employees should be encouraged to embrace risk – including the risk of ignoring Congress. 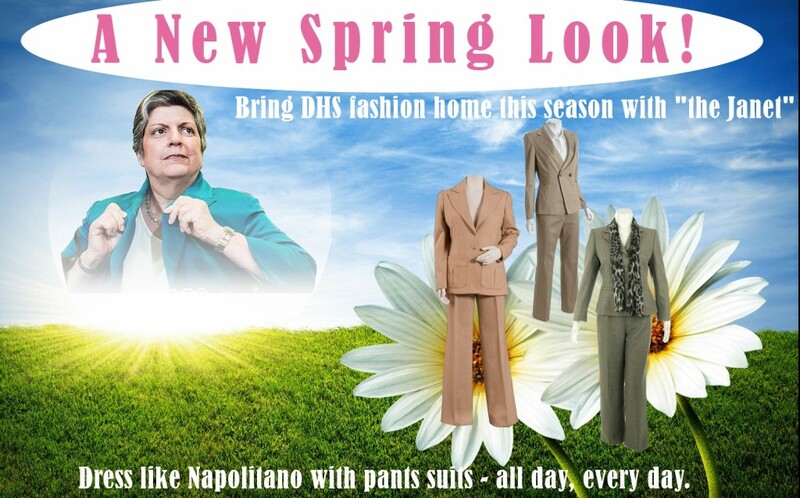 DHS Chief Human Capital Officer Catherine Emerson was not available for comment on this story. In fact, DHS observers do not recall having seen Emerson in public since she testified before the House Homeland Security Committee more than a year ago on “Why is Employee Morale [at DHS] So Low?” Representatives of DHS employee unions were also unavailable to Security Debrief as they were attending a conference in Las Vegas, hosted by the GSA Public Building Service Alumni Association. Fox Sports is reporting this morning exclusive details of a new venture from recently retired Baltimore Ravens linebacker Ray Lewis. 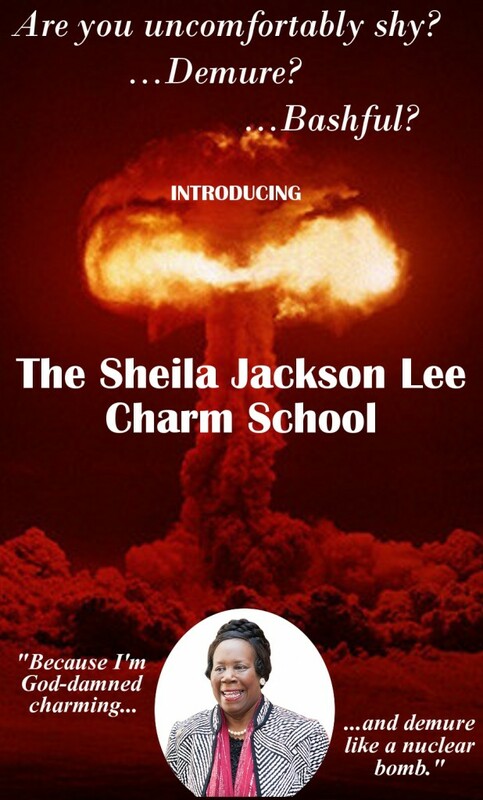 According to unidentified sources, Lewis has decided to underwrite the national expansion of the Sheila Jackson Lee Charm School. With last year’s openings in Jackson Lee’s Houston District, the Mall of America and a strip mall in Patterson, NJ, the SJL Charm School boasts an acclaimed program for dressing to get noticed, muscling your way for a seat for prime time television camera mugging, and shrieking at people to make oneself obvious and unforgettable. Lewis told Security Debrief about his new investment. Lewis said that “graduates of these charm schools will stand out like nobody’s business. They’re gonna make those yellers and moaners like Chris Matthews, Sean Hannity and Meg Ryan in a deli sound like mutes. Jackson Lee’s House Homeland Security Committee colleagues were unenthusiastic about the school expansion. Rep. Bill Pascrell (D-NJ) called the deal a joke. She collapsed into the open arms of co-plaintiff and legendary rocker Bruce Springsteen, who echoed the Australian pop icon’s words. Springsteen and Newton-John credited the people behind PMS for channeling their angst and spurring them to try to replace the name of the disastrous hurricane. “We formed Preserving My Sandy for all those who love the name Sandy and don’t want to have her name dragged through the mud and debris of our shattered boardwalks,” explained PMS founder, Donna Pissmeoff. When asked what would be a more suitable set of names for furious storms that cause havoc to people’s lives and ruined property, Pissmeoff offered Khloe, Kourtney or Kim Kardashian, who she said were walking natural disasters. FEMA Administrator Craig Fugate was taken aback by the sudden filing in federal court. Security Debrief cornered Fugate while he was stacking cases of water and batteries in a regional FEMA warehouse, preparing for the upcoming 2013 Hurricane Season. In addition to the signatures, the card also contained personalized notes from the passenger screeners to specific congressional members. Among these was a note from St. Louis Airport TSO Hans R. Scruffy, who recently patted down the re-elected Missouri Senator Claire McCaskill. In a press release, House Speaker John Boehner thanked the employees for the outreach and recognition. Asked for comment, Reagan National Airport TSO Igotta Handsonyou said she looks forward to genuinely touching the House Speaker.